Las Vegas casinos are facing quite bad days, it seems many robbers are into chip stealing nowadays, which is quite understandable, since nobody stops them in doing so. Piece of cake. Last time it was the Bellagio in December, and now Rio Casino took the hit by a 40-year old white man wearing a moustache, who took $35,000 worth of chips waving a gun off the tables. The Greenbrier Resort (Greenbrier County, West Virginia), originally founded in 1858 as White Sulphur Springs, received important political figures throughout its history, including Jawaharlal Nehru, Indira Gandhi as well as US presidents Theodore Roosevelt and Dwight D. Eisenhower. The multiple Guinness Record holder Bryan Berg has built the card version of the Venetian Macau Hotel & Casino out of 218,000 cards, with which he broke his own previous record. The playing card version of the Chinese luxury hotel and casino has been exhibited in the lobby of the hotel itself. The monstrum took 44 days to put together and weighs 272 kilograms in total. The Gutshot Poker Club, which opened its doors to the public on March 2004, was one of the most well-known poker clubs located in London. The Club which also housed a bar, restaurant and internet café grew to become the hot spot to be at for any poker player. The club played venue for poker ring games and tournaments and hosted four poker festivals per year. On top of this, in 2006 it even held the Showdown Poker Tour which was a £3,448 buy-in event. Over time the venue not only saw many English professionals walk through its doors, but it also started to become a place where you could spot WSOP champions. Some of the big names included Phil Hellmuth Jr , Greg Raymer and Joe Hachem where just some of the regulars to visit Gutshot Poker Club when they were in London. The club seemed to be unstoppable and it wasn’t until 2007 when it first struck trouble. Derek Kelly, Gutshot Poker Club owner was been prosecuted of contravening the Gaming Act. After almost 3 years of trading and having over 23 thousand members, its hosting of poker games without a gaming license meant big problems for the club. As Derek Kelly prepared for his court hearing his lawyers started building his defence against the allegations. Their main line of attack was that poker games shouldn’t be treated in the same way as roulette or blackjack because it is more a game of skill rather than luck. Obviously, the owner fought the conviction as best as he could but ultimately after two failed court appeals this spelt the end for Gutshot Poker Club and it was forced to close its doors for good. Here, I am going to introduce the top ten poker temples to make or break you. These are the places where dreams can come true and the luxury of the kings is standard. With millions of dollars turning over every day it’s every poker player’s dream to experience the atmosphere offered by these venues at least once in their life. 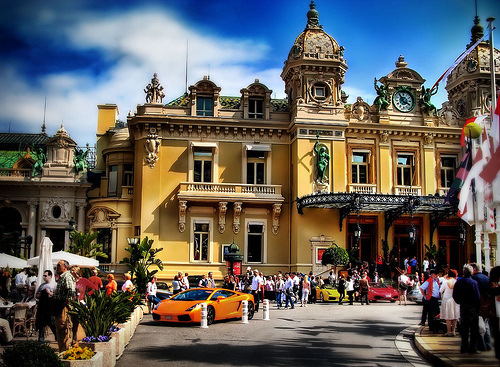 The casino was built in 1863 and still is one of the main attractions for tourists in Monaco. The casino had a dramatic impact on Monte Carlo’s reputation to be one of the best places to gamble at in Europe. The Casino Monte Carlo was designed by Charles Garnier, who also designed the Opera House in Paris. The casino’s looks are pleasant to the eyes, with a historic yet modern appeal. It also houses a theatre, which is the venue for opera and ballet performances. 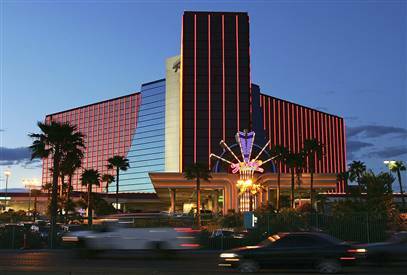 The casino appears in many world famous movies, such as several James Bond films (like GoldenEye and Never Say Never Again) and Eugene Levy’s blockbuster, Once Upon a Crime. Besides poker, players can enjoy roulette, blackjack, bacarat, craps, trente et quarente and 316 slot machines.